Manama, 12 February 2018: A dynamic panel of influential speakers has been announced at the 2nd Middle East & Africa FinTech Forum, held under the theme of Beyond Disruption, and addressing some of the most pressing challenges in the fast-evolving FinTech landscape. Bank ABC and Arab Financial Services (AFS) are the main sponsors of the conference, which will host 300 invited senior executives from the region’s financial services industry on 8th March 2018. Held under the patronage of the Central Bank of Bahrain, the event is to be opened by the Governor, H.E. Rasheed Al Maraj, with keynote speaker announced as Mr Anthony Thomson, Founder and former Chairman of the UK’s first fully-digital bank, ATOM. Being the driving force behind such innovation in financial solutions, Mr. Thomson is in a unique position to comment on disruptive FinTech affecting today’s banking industry. Joining him on stage will be Dr Michael Jordaan, founder of South Africa’s first digital-only bank, Bank Zero, and former CEO of First National Bank, one of SA’s largest banks. 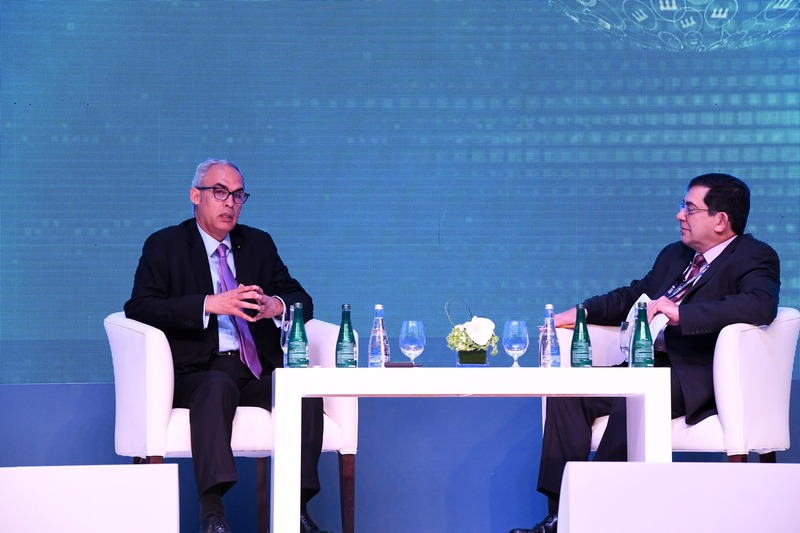 The conference explores how the current steep curve of innovation and technology is changing the way banking and finance operates on a worldwide scale. Mr Greg Cross, co-creator of Soul Machines, will demonstrate the next generation of Artificial Intelligence and how it is evolving to Emotional Intelligence. Addressing the biggest challenges in the near future, Ms Eileen Burbidge, the UK Treasury’s Special Envoy for FinTech and Tech Ambassador for the Mayor of London’s office, will be joined by Mr Alastair Lukies, UK Ambassador for the FinTech and Chairman of Innovate Finance. Mr Jim Marous, American financial author and industry strategist, as well as former advisor to the White House, will host an interactive Q&A on Crypto Currencies – Hype Versus Reality, focusing on the theme of going ‘Beyond Borders’ with this new form of financial transaction. Focusing on the significance of financial inclusion to under privileged and remote areas of the world, there will be an engaging panel discussion led by Dr Michael Jordaan on how FinTech presents a transformative opportunity for the unbanked two billion people around the world. The conference will be moderated by Mr Joe DiVanna, CEO of Maris Strategies, the innovation banking think-tank, and a frequent commentator on CNBC (Europe, Africa, Middle East), Citi7-TV, Dubai One, and Summit-TV on banking, economics, human capital management, emerging markets and Islamic finance.